In a move that could hit the Indian growth plan of Apple Inc. in a big way, the Indian government has disallowed the company to import or sell refurbished phones in India. Refurbished phones are usually phones that apple gets back in returns or phones that become defunct once new spectrums like LTE come into play in the original country but are almost non-existential in developing countries like India. 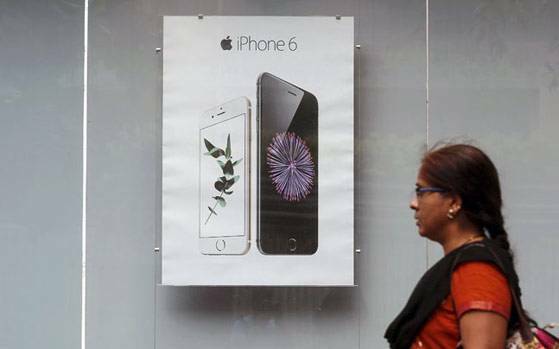 Apple restores those phones and sells them in countries where they can still be used. While Apple’s overall growth and revenue slowed down this quarter for the first time in 15 years, revenue from India have grown 56% and naturally India remains a big focus for the smart phone giant. But in a country where a decent smartphone costs less than 15,000 and comes without any commitment to a network provider, Apple’s got its task cut out in the country. Apple had applied to the Indian govt. to be allowed to sell refurbished phones in India, along with selling discounted phones to retailers and rolling out EMI schemes, in a bid to capture a larger chunk of the market by luring them to cheaper prices. India’s the fastest growing economy and the 3rd most populous country in the world, making itself the largest market for Apple. With the government’s directive against selling refurbished iPhones in India, Apple will need to concentrate on adjusting its price, improving brand perception and distribution issues in the country. Meanwhile iPhone enthusiasts who wish to procure the device at a cheaper cost than the retailers will just need to continue to rely on getting that foreign friend bring it back for them. Rahul Yadav To Distribute His Housing Shares Among His Employees Paytm Makes Its Biggest Offline Push Yet; Launches Free Public Wifi Kishore Biyani Doesn’t Hate E-Retail After All; Future Group Acquires FabFurnish.com Tata Group To Take Over 51% Of Air Asia India MagicBricks Makes First Acquisition With Properji.com Uber To Open Its First Engineering Office In Asia In Bengaluru After Cabs, Shared Cabs, and Shuttles, Bangalore To Get Bike Taxis Paytm To Hire 3000 In Its Payment Bank Arm SBI Launches Country’s First Bank Branch For Startups How’s Infibeam Doing Since Its IPO?